Whitney Houston suffered a heart attack due to prolong atherosclerotic heart disease. After several weeks of waiting and speculation, the coroners office finally released the singer’s autopsy report stating that this was the official cause of death. Whitney’s death was also due to an accidental drowning, as well as years of cocaine abuse. It is suspected that Houston’s cocaine abuse lead to the development of heart disease — specifically, atherosclerotic heart disease. Q: What exactly is atherosclerotic heart disease? How did it contribute to Houston’s drowning? A: Atheresclerotic heart disease occurs when plaque hardens within the arteries, narrowing them and limiting the flow of blood to other organs in the body and can lead to heart-attack, stroke and even death. There are a several factors that can contribute to the diagnosis of a heart condition. Some of the causes are: lack of exercise, poor diet and alcohol abuse. However Whitney Houston’s condition was exacerbated by years of cocaine use. The constant use and exposure of the chemical make-up of cocaine within the blood vessels often lead to multiple scarring in the heart and arteries. Unfortunately it is most likely that Whitney’s heart condition triggered a heart attack after the singer took her final hit of cocaine. This caused her to have heart failure while she was in the bathtub, which then led to her accidental drowning. The 48-year-old singer openly struggled with drug abuse throughout her life, she spoke candidly on the subject during her 2002 interview with ABC’s Diane Sawyer. However due to Whitney’s heart condition the repeated use of cocaine caused a severe impact on her heart. Whitney Houston’s body was found submerged under water in the bathtub of her suite at the Beverley Hills hotel on Feb. 12. The singer died on the eve of the 2012 Grammy Awards. Although the autopsy report states that the cause of death was due to a heart attack the toxicology tests did report that cocaine and other drugs where found in Whitney’s system. Based on the toxicology report Whitney had marijuana, Flexeril (the muscle relaxant) , Xanax (the anti-anxiety medication) and Benadryl (allergy medicine). The other drugs that were found in Whitney’s hotel room were Ibuprofen and Midol. However none of these drugs contributed to the singers cause of death. Investigators found NO EVIDENCE of cocaine in the hotel room. Law enforcement at the crime scene stated from the beginning that they did not suspect foul play, officers suspected early on that the singers death was not a homicide. 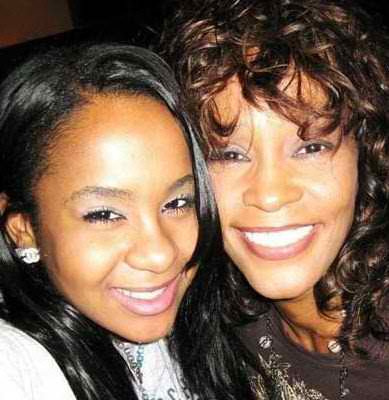 Whitney Houston’s family members were upset to learn that the singer had drugs in her system. 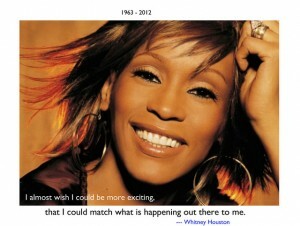 However the Houston family had doubts about Whitney’s demise — suggesting there may have been foul play. The coroner’s office did not say how much cocaine was found in Houston’s system, but it was noted that there were signs of both recent and chronic use. It will be a couple weeks before the coroner’s office can reveal exactly how much cocaine was in Houston’s system. Meanwhile, Whitney Houston’s friend and reported one-time beau, Ray J, told TMZ on Thursday that he had no idea the 48-year-old singer was using cocaine again. 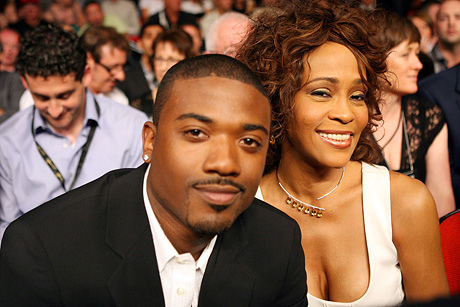 Whitney and Ray J were spotted together during the days before her death. Singer-producer Ray J was not at the Beverly Hilton hotel where Houston died. Houston died just hours before she was expected to appear at Clive Davis’ pre-Grammy Awards party. This is a very sad ending to a iconic career. 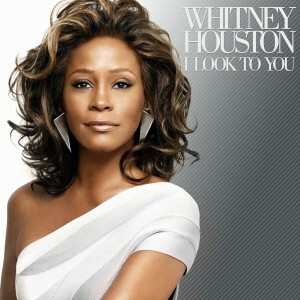 I will always love Whitney, her lagacy will live on in her music and in her fans (like me). Whitney fans will get to see Houston in the movie “Sparkle,” due out this summer. If you did not know, now you know…. The Movie Poster for "Sparkle"
The movie stars the late Whitney Houston as the mother of three young girls who go into the entertainment business. The girls struggle with romance, fame, and drug issues on their road to sucess. The first trailer for the film debuted on “The Today Show” this morning. The movie “Sparkle” will premier on August 17, 2012. “Sparkle” the movie co-stars Jordin Sparks, Derek Luke, and Mike Epps. Enjoy the trailer.